Earth-Keeper Chronicles December 22 2013 | Thanks to the Galactic Free Press. Edgar Cayce is the most credible and genuine ‘channelers’ of not only the past century, but perhaps the past millennia. His medical, past life, past civilization readings are acclaimed and studied by millions at his institute, the Association for Research and Enlightenment, located in Virginia Beach, Virginia. The executive director for the A.R.E is the esteemed John Van Auken. He has written over 30 incredible books on Edgar Cayce’s readings, and was involved in the Atlantis Research project. He will be one of the featured speakers at the Earth-Keeper Star-Gate Gathering in May 2014 at Scottsdale and Sedona, Arizona. According to Edgar Evans Cayce, the son of Edgar Cayce, over 700 of Cayce’s 2500+ life readings refer to Atlantean incarnations. Cayce said the Golden Age of Atlantis was led by a very spiritual society called the ‘Law of One’. The Law of One was primarily based in the Atlantean region called Poseida. The Law of One, as stated in the Cayce readings, held the highest level of spiritual consciousness ever achieved on the Earth. The ‘Law of One’ were able to continue vibrating at the very highest level of light and energy, and remained very close and true to the one Creator/God, even as the other groups on Atlantis began to fall into the throes of downward spiral through greed and self aggrandizement, choosing power and material gain over love. Cayce speaks of an Atlantis which was extremely advanced scientifically with very complex, highly developed technology which allowed them to have aircraft, very unique air-balloons, submarines, elevators, a broadcasting system similar to television, and even computers! Crystal technology was used to power almost everything. ( Although the Atlanteans also utilized gases and electrical forces as well…but their major source was crystalline energy). To be clear, although the ‘Tuaoi Stone’ was referred to as the ‘Mighty and Terrible Crystal’ more often it was called the ‘Firestone or Tuaoi’. Cayce indicated there were many ‘generations’ of crystals, and this technology was advanced both in use for ‘industrial’ purpose and spiritual purpose over thousands of years. The crystals themselves were not ‘terrible’ in fact quite the contrary, they were awesome and beneficial when the power within them was used in a benevolent fashion. The crystals were never misused by the ‘Law of One’, but as the ‘Sons of Belial’ of Aryan became more and more focused in density and became an elitist power minded society, they were able to take control of the crystals through cunning and deceptive political maneuvering. This remains a deep seated area of regret by the Law of One. Some crystals had industrial and energy generation purpose and others were Temple Crystals used for creating energy fields of high resonance, calibrating chakric systems, healing, cosmic travel, education and even rejuvenation. Cayce speaks of certain Crystals used for channeling out of body experiences and channels of communication with the ‘Saints’ and ‘Infinite’. The industrial crystals were used for power source generation, energy field projection, creating optical agricultural conditions, creating hyper-dimensional tunnels, powering movement of physical matter, excavation of inner earth tunnels by vaporizing strata, and creating ‘tractor beams’. (Cayce spoke of many ‘generations’ of crystals, implying that the technology around their use increased in complexity over time). In what was termed the ‘Golden Age’ many souls on the planet were not yet in ‘human bodies’. Many extraterrestrials manifested in light form, especially the Sirians, Pleiadeans and Arcturians. Those in physical bodies were able to live extremely long life times, some as long as 10,000 years through the rejuvenation processes. 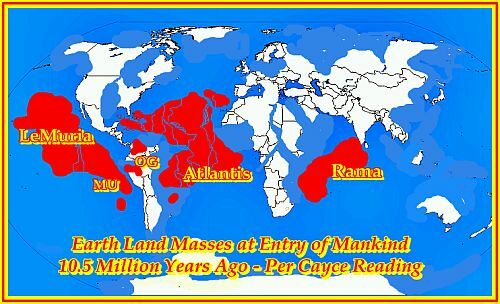 After the 2nd breakup of Atlantis the continent broke into 5 islands, 3 primary ones called Aryan (the largest), Og and Poseida. Much of the cohesiveness was lost, and the people of Aryan fell under the spell of a militaristic, corporate driven leadership. The Aryans cleverly and deceitfully gained control of the technologies. According to Cayce, Atlantis was destroyed by massive ‘mega-explosions’. The final destruction came from the misuse of their advanced technology by the Aryan Group, in stark opposition to the ‘Law of One’ group of Poseida. The final destruction lasted over a period of months – not just days or weeks, but months. The final end came around 10,500 BC. All the readings indicated that ample warnings were given and than many Atlanteans were, in fact, able to escape prior to the final ‘sinking’. Some sought safety by going to Europe and Africa whilst some found refuge in North and South America. Although many of the life-readings given by Cayce were expressed in ‘biblical’ terminology that was often quite difficult to understand at first sight, by studying the texts very carefully and piecing many of them together as one would a jig-saw, we are able to obtain something of a general ‘over-view’ of the History of Atlantis according to Cayce’s prolific information. The earliest Atlanteans are described by Cayce as being light-thought projections and having a semi-physical form in which both sexes, male and female, were present in the same ‘body’. These Atlantean thought-form ‘beings’ – projecting ‘vibrations’ of pure white light and energy – gradually began to take on a more material shape and density and began to engage in acts of sheer self-indulgence. These physically-encased thought-form projections, through the passage of time, began to separate into two groups; those who followed the Laws of One and those that chose to follow the Sons of Belial based on the island of Aryan. The Law of One still maintained the highest standards of consciousness and were able to continue vibrating at the ‘very highest’ level of light and energy; and still remained very close and true to the one Creator/God. They were a benevolent loving society, with matriarchal, peaceful and nurturing characteristics and aspects. The Law of One were completely peaceful, absolutely non-violent and were as a society somewhat vulnerable to the cunning and cloaked political intrigues of the Aryan Group. To an extent the non-aggressive, focus on peace and honesty that was held by the Law of One, became the tools used by the Aryans to set up a complex and cunning deception that enabled them to take control of the crystals. The Aryans became involved in the accumulation of power and used the advanced technology, including the genetic engineering capacities and crystal energy for untoward goals of world control. They developed a race of genetically engineered ‘slave workers’. The Aryan faction began to use the technology to dominate the world. The Tuaoi crystal was used to create earthquakes in other areas, and used as a death ray. This destructive use imbalanced the system and led to the destruction of the crystal satellite motherboard. Its crash and explosion created a series of earthquakes and explosions throughout the energy system. Most of the surviving ‘Law of One’ migrated to Egypt, Bolivia-Peru (OG) , Yucatan and Arkansas. For a few generations some areas retained higher educational status, and sustained technology. But with the land masses gone, in time the areas fell into disconnectivity and disarray. Atlantis was gone. Once the end came, there was a ‘too-late’ recognition on the part of the ‘Law of One’ that the utopia was lost. But they vowed to return one day, and never again be naive, or duped. The return is happening in 2012 and forward. Were you part of the Law of One? Keep in mind that geologists believe the Earth to be 4.64 Billion years old, so many many changes have taken place, as Cayce stated. 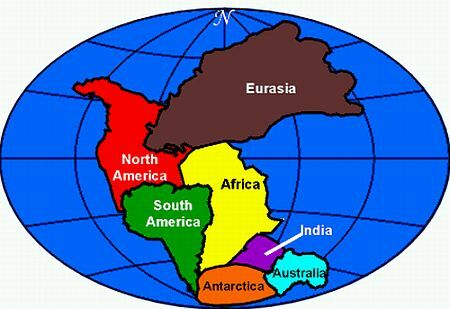 The earth has been at times totally covered in water and ice with no ‘surface land masses’. 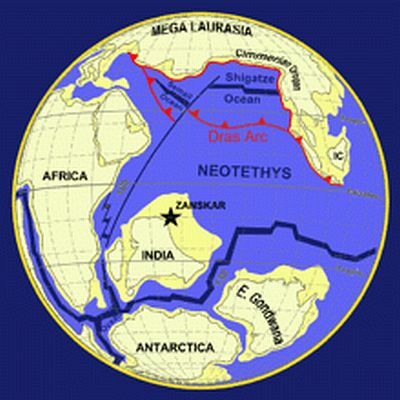 Tectonic plate movement began in the slow geologic dance only after the surfacing of Pangea.